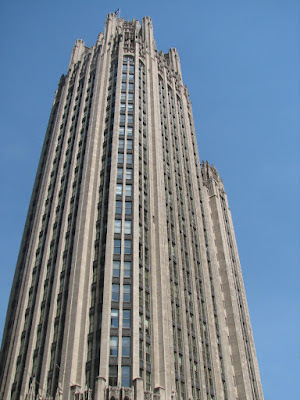 December 3, 1985 –The National Broadcasting Company announces that it has signed a lease for space in the first office tower to be constructed in the Cityfront Center project, a move that is valued at more than $100 million. The 34-story tower will be a joint venture of the Equitable Life Assurance Society of the United States and Tishman-Speyer Properties. 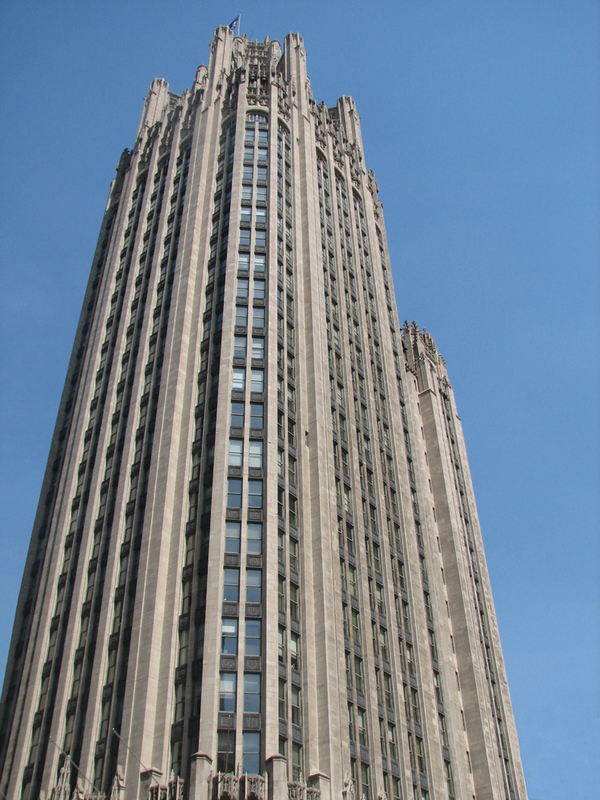 NBC will move more than 600 employees from the Merchandise Mart and other locations around the Loop to the new building, which is scheduled to begin construction in the summer of 1985. Richard Lobo, the vice-president and general manager of NBC’s local affiliate WMAQ-TV, says, “Though we’ve been served well by the Merchandise Mart for the last 50 years, here we’ll have better access to roads … and be close to the city’s two major newspapers and our own competitors.” [Chicago Tribune, December 4, 1985] Plans for the building, drawn up by Skidmore, Owings and Merrill, show a “stepped-back tower clad in granite or a granite-composite material, with a column of windows rising the height of the building to a tapered, lighted pinnacle." 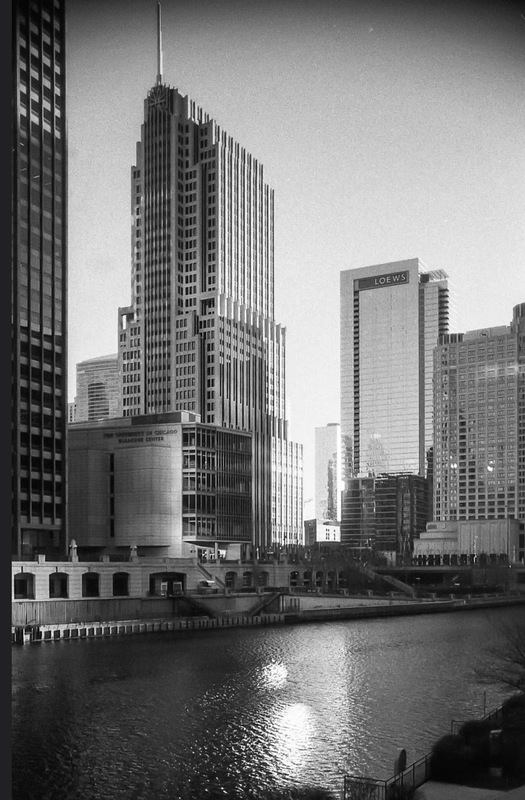 An interesting development occurred just a week before the announcement with the dissolution of a partnership between Equitable and the Chicago Dock and Canal Trust to develop the 50 acres of Cityfront Center north of the Chicago River between Lake Michigan and Michigan Avenue. Equitable retained 11 acres west of Columbus Drive, and Chicago Dock took the rest of the site. Potentially four million square feet of commercial space and 1,800 hotel rooms could eventually be sited on the 11 acres that Equitable retained. The Chicago Dock portion of the site could see nearly 6,000 apartments, 2,200 hotel rooms and six million square feet of offices and retail space. One could say that the development of Streeterville, the area north of the river and east of Michigan Avenue begins on this date. December 3, 1948 – Pizzeria Uno opens for business. According to Eater Chicago Ike Sewell worked for Fleischmann’s Distilling Corporation and his future partner, Ric Ricardo, was the owner of Riccardo’s Restaurant and Gallery at 437 North Rush Street. The original plan was to open a Mexican Restaurant until Riccardo, an Italian by birth, tasted Mexican food for the first time. That pointed the duo in the direction of pizza, but not just the usual thin crust of tomato sauce, cheese and toppings, but a pizza that was worthy of the city with the big shoulders. The restaurant was originally called The Pizzeria and then Pizzeria Riccardo. 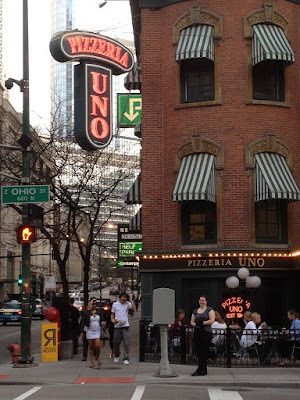 It became Pizzeria Uno when Sewell and Riccardo opened Pizzeria Due a block away in 1955. Today there are over 130 Uno Pizzeria and Grill restaurants in 21states, Washington, D. C., South Korea, the United Arab Emirates, Honduras, Kuwait, and Saudi Arabia.